Ukrainian President Petro Poroshenko has appointed Roman Romanov as the director general of the Ukroboronprom state concern. Relevant decree No. 569/2014 was signed and published on the president's Web site on Friday, July 4. Romanov, born in 1972, graduated from the Physics and Mathematics Department of the Kherson Pedagogical Institute with a degree in information technology. He is the founder of the Kherson-based Avtoplaneta service center, since 2005 he has been heading the Kherson Regional Union of Small, Medium and Privatized Enterprises of Ukraine. Romanov headed Kherson regional campaign headquarters of Poroshenko during the early presidential elections in May. Romanov replaced in this post Yuriy Tereschenko, who has served as interim CEO of Ukroboronprom since March. 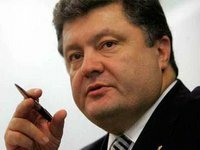 Ukroboronprom state concern was established in accordance with presidential decrees dated December 9 and 28, 2010, as well as under government decree No. 1221 of December 29, 2010. In accordance with the law of Ukraine adopted by the parliament in June 2011, Ukroboronprom jointly with the government manages state facilities in the defense industry. At present, 134 Ukrainian defense industry enterprises, including state-run Ukrspecexport and its subsidiaries, are members of the state concern.